What a good start! We've had a variety of citrus fruit, even a grapefruit (check out the grapefruit's cute little shoes)! Check out the links above to see the gorgeous stitching in greater detail (I love how everyone has done the hair)! It's not too late to join in! You can find the Little Lemon Slice pattern from the oh so talented Cate Anevski here. 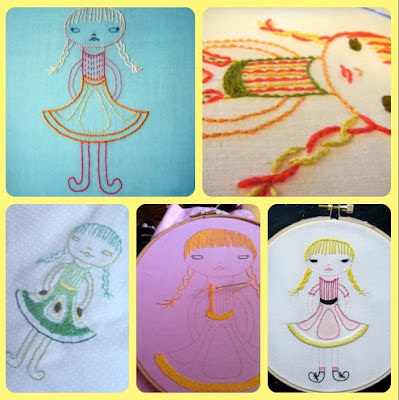 Happy stitching everyone (and don't forget to add your pictures of Little Lemon / Lime / Orange / Grapefruit slice to the Embroidery pool, using the tag AugustStitchalong2012, so that we can find you)!